Over the past 50 years, ASEAN has evolved significantly. From a five-member regional grouping in 1967, ASEAN today boasts of a concert of robustly growing, outward-looking, predominantly middle income Southeast Asian nations, living in peace, stability and prosperity. While today ASEAN is an economic community of dynamic development with high competitiveness and an attractive investment area for firms within and outside the region, the journey up until now has not been a smooth one and there are still many challenges to be addressed. For this reason, C asean launches “ASEAN at 50”, putting together ideas, thoughts and papers from experts and specialists in the region on various areas relating to ASEAN integration. It takes stock of the past 50 years as well as deliberates the challenges for ASEAN, how to face them and how ASEAN should move forward in the decades to come. Passionate about connecting communities and enhancing collaboration for greater impact within ASEAN countries, this is yet another effort from C asean to advance ASEAN integration and foster business growth and competitiveness of individuals and the region. 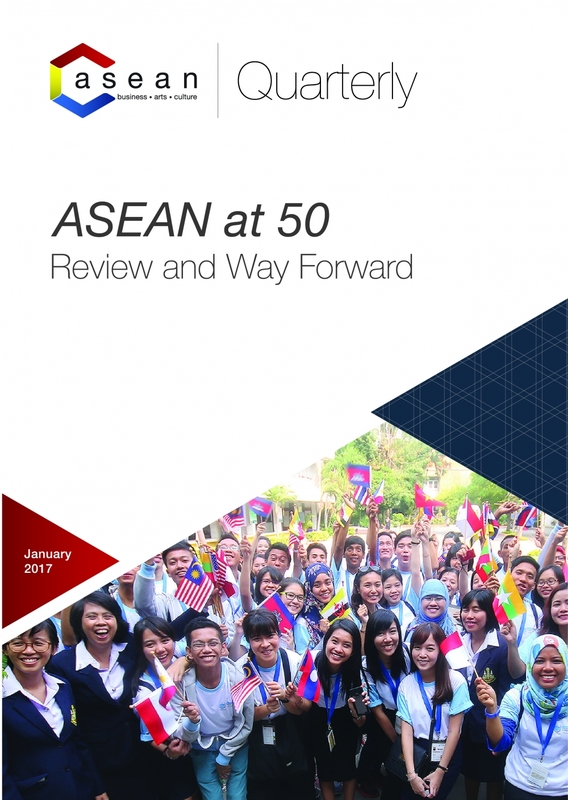 ASEAN Quarterly aims to reach out to the young generation of people who believe in change, private sector who are concerned about the current regulations and policymakers who want to create and keep adept into this changing world.